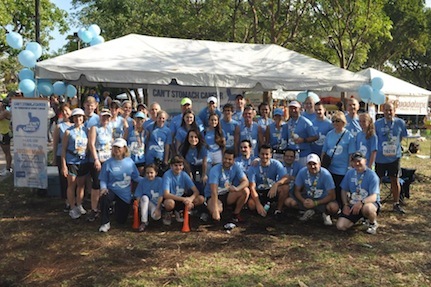 On January 27th, the SkyPlanner Partners took on the big challenge of completing the Miami ING Marathon to support the Can’t Stomach Cancer organization. As an official sponsor, we were determined to make it to the finish line and have a great time supporting a great cause. We're delighted to say that your Miami Salesforce consulting company made it to the starting line on time at the American Airlines Arena to take on the 13.1-mile challenge, early on Sunday morning. Rene Garcia, William Urra, Fernando Gomez, Jorge Fernandez, Rene Rodriguez, Erisbel Diaz and Ernesto Rodriguez. All great salesforce consultants, programmers and teammates that are truly passionate about the work we do for SkyPlanner and our clients. We had our comfortable sneakers on, our water bottles, wristwatches, cameras and dedication on hand. It would have helped if we had a few training sessions as well! We made it to the end of the race at the intersection of Biscayne Blvd and E.Flagler St, happy to still be alive and breathing. Fortunately there were many marathon aid stations with water and Gatorade Endurance drinks to hydrate all of us. There were even medical personnel from Baptist Health South Florida to keep an eye on everyone as well as cheering zones complete with noisemakers and encouraging posters. That really helped us keep our focus and keep running. Rene Rodriguez and Ernesto Rodriguez both took first place in the SkyPlanner team, with Rene finishing at 2:23:48 and Ernesto at 2:23:47. SkyPlanner Partners learned that the average time for males in the Miami ING half marathon was 2:17:38 and 2:35:40 for females. So we're all very proud of our Rene who's also celebrating his birthday in the next few days. All of us at Miami Salesforce consulting company want to say congratulations to Robert Mbithi who won the half marathon with 1:05:44 in the male division and to Risper Gesabwa who won with 1:14:00. Thank you to all of our SkyPlanner team who helped our Salesforce consulting company run for a good cause! Congratulations to all of the 2012 AppExchange Customer Choice Awards Winners from all of us at SkyPlanner Partners. Salesforce just named their 13 winners, the ones with apps that have had the best customer reviews in various categories from Sales to Customer Service. Your Miami Salesforce consulting company learned Adobe EchoSign by Adobe was part of the lucky 13. 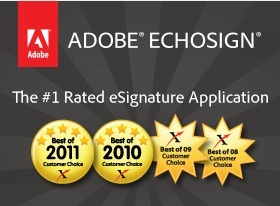 Adobe EchoSign has been the #1 rated e-signature application for seven years now, since 2006. It gets contracts e-signed on a global level. SkyPlanner Partners learned it has about 50,000 customers worldwide. Also, in the Sales category, Hoopla Scoreboard is the other winning application. Created by Hoopla Software, this app drives adoption and performance through friendly competition, recognition and gamification. You can have goals, leaderboards, and you can even show off your success. Sales Optimizer developed the Opportunity Management Optimizer. It's actually a native Salesforce Force.com application that allows companies to improve margins, forecast accuracy and sales productivity. Configurator by Big Machines enables pricing and quotes while helping to generate proposals fast. 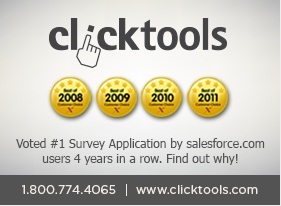 In the Customer Service category, Clicktools Surveys and Scripts by Clicktools is part of the Salesforce AppExchange Customer Choice Awards Winners list. Your Salesforce Miami Consulting company learned it helps corporations easily build surveys, landing pages, scripts. It enables companies to gain insight quickly in order to drive more business. Informatica Cloud Integration for Salesfoce takes a spot on in the IT and Administration category. Thanks to this app on AppExchange, companies can easily integrate Salesforce with on-premise and ERP apps, databases, files and social sources. SkyPlanner Partners, your Miami Salesforce consulting company has also created some amazing apps and listed them on AppExchange. We have 18 successful projects to date. We create these apps so we can offer the best solutions in cloud computing, helping our clients leverage the salesforce platform. Read some of our AppExchange reviews on the salesfoce AppExchange website. It's the new year and everyone is trying to keep their resolutions, but what about your business resolutions? Do you have set goals for 2013? Do you know what you want to accomplish before 2014 hits? For example, SkyPlanner Partners is gearing up to gain new clients in 2013. We've taken action by creating a strong brand and engaging our various networks through our new website and social media channels. In fact you can follow us at @TheSkyPlanner on Twitter. Our sales team is looking for new business opportunities, striking new partnerships in Miami with corporations within the tourism and hospitality, logistics and life sciences industries. SkyPlanner Partners knows that defining goals and giving them deadlines really helps put a plan into action. It also helps you track your progress. The right tools can also help you get things moving. For example, the SkyPlanner Partners use the Salesforce platform for their own daily operations. Salesforce makes things smoother around our Miami consulting office. According to Salesforce, sales team only spend about 17%of their time selling. The rest of it is spent in meetings, traveling, doing administrative work and other duties that don't really help move profits upwards for a company. With the help of the Salesforce platform, sales team can free up some of that time by automating the sales process. 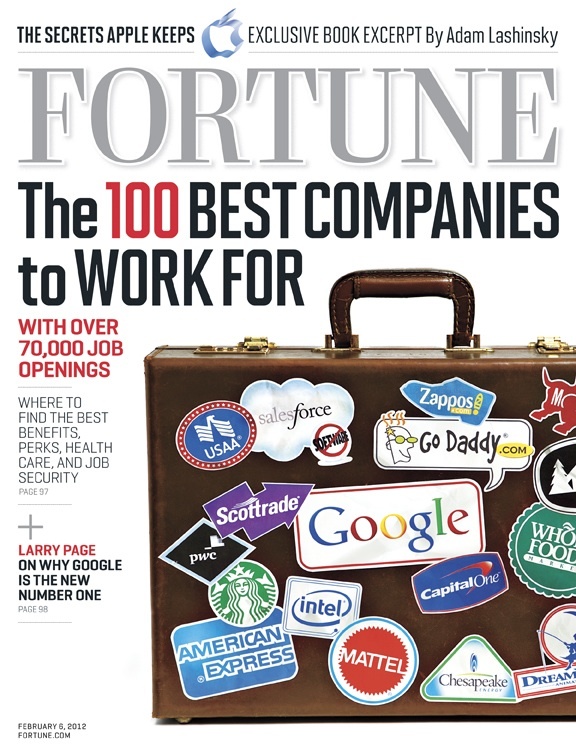 That can be a a 2013 business resolution for your company. Centralizing information is another thing that affects the bottom line and where the Salesforce platform can help. Data in multiple systems doesn't help make operations run smoother. But if you had your company's info on a cloud-based CRM, employees can access it at anytime and from anywhere. Which brings us to doing business from anywhere. Many people don't work the 9-5 job anymore. They are on the move and doing transactions from various locations. So giving your sales team mobile devices that are connected to a CRM system can be another goal for you on this new year. We are proud to announce that seven runners from SkyPlanner Partners are part of the dream team that’s sponsoring “Can’t Stomach Cancer: The Foundation of Debbie’s Dream” in the Miami ING Marathon. Yes that’s right, our Salesforce team is attempting to participate in the Miami ING Marathon on January 27th, 2013 as Corporate Sponsors. The full marathon stands at an impressive 26.2 miles, starting at the American Airlines arena while the half Marathon is a whopping 13.1 miles. “Can’t Stomach Cancer” was founded in 2009 when founder Debbie Zelman was diagnosed with Stage IV stomach cancer. She started the nonprofit organization to raise awareness surrounding this devastating type of cancer. Through our charitable donation to “Hit the Ground Running,” SkyPlanner Partners hopes to help CSC with its mission to fund research, provide education and support patients and their families. Come out to cheer us on, we’ll be the ones proudly wearing the SkyPlanner t-shirts. Or join us in the ING Miami Marathon, it’s for a good cause. Just don’t forget your comfortable shoes, camera and bright t-shirts. See you on the course!